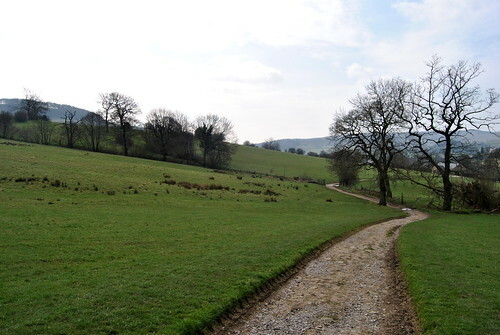 I already told you about our Monsal Head and Dovedale walk we did in the Peak District. 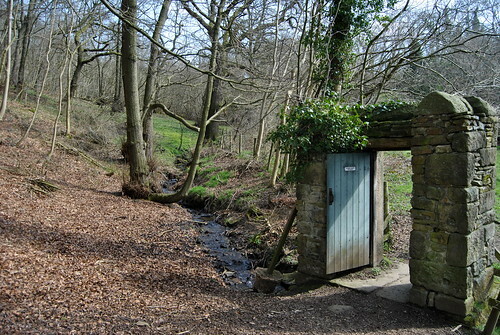 One last walk we did whilst on holiday in this beautiful part of England, was a Jane Eyre inspired walk. 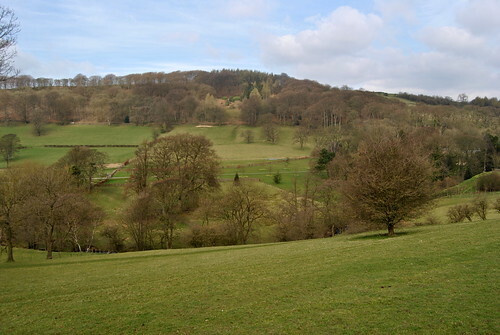 This circular walk took us to places that appear in her novel ‘Jane Eyre’ and which were visited by the writer of this novel, Charlotte Brönte. 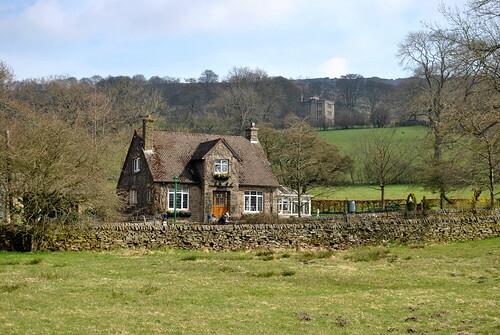 We started in the little village of Hathersage, passed the church and soon we were in the beautiful Derbyshire landscape, walking towards Brookfield Manor (which features in Jane Eyre as Vale Hall). 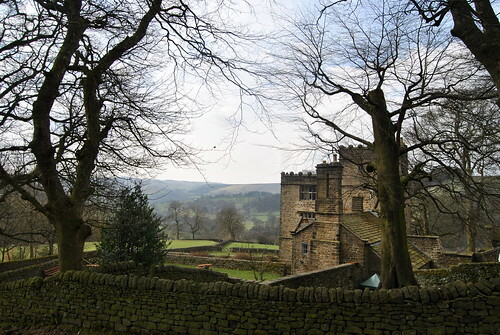 A bit further we passed North Lees Hall… “three stories high… a gentleman’s manor house… battlements around the top gave it a picturescque look”… That is how Charlotte Bronte describes Thornfield, home of Edward Rochester, in Jane Eyre. Continuing your walk you pass a former Romano-British village… Not that you’ll notice it… but almost 2000 years ago this place was filled with Romano-British houses. Archeologists have found pottery, a corn-grinding stone and utensils. 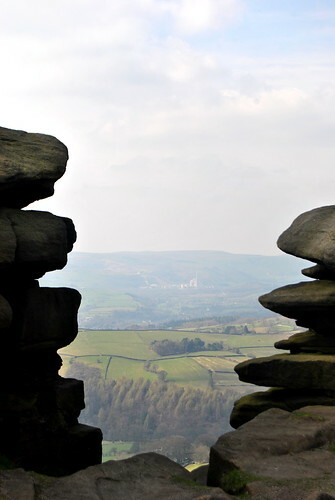 On one side you see the moorlands… on the other side the Hope Valley. I loved the rugged beauty of the landscape! 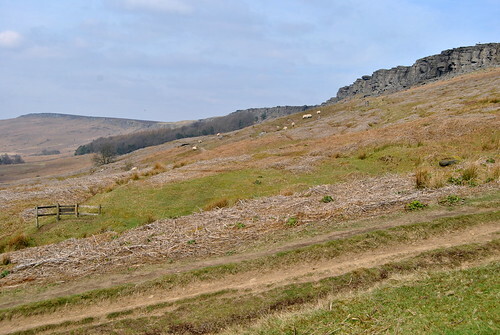 We found the rock where Keira Knightley stood on in Pride and Prejudice (although we think we have anyway!!) 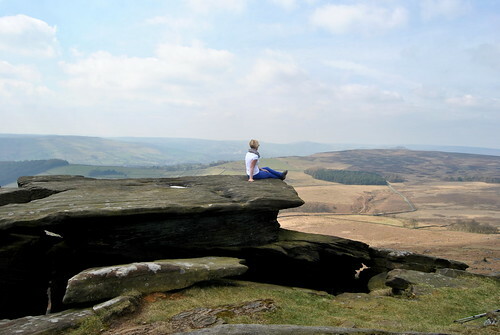 and of course had a photoshoot on this rock with the fantastic landscape in front of us. 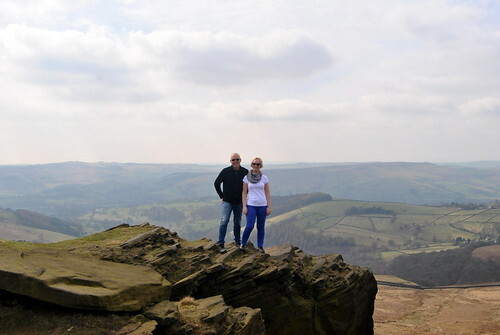 We definitely took our time on Stanage Edge as we were really wowed by nature’s beauty. A bit reluctantly we started our way down again, passing peaty moorland. We were lucky the weather was so good or this walk might not have been so easy! 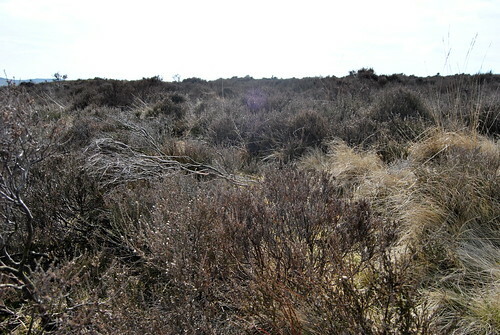 Then we passed Moorseats. 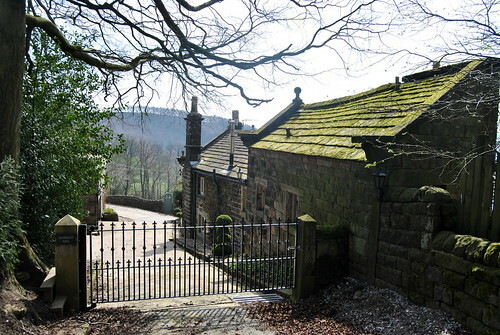 Charlotte Bronte created Moor House out of Moorseats. 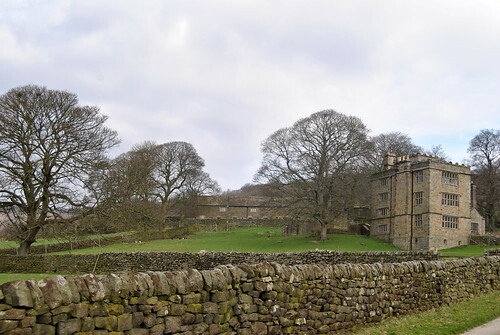 Moor House became Jane Eyre’s protection and retreat. 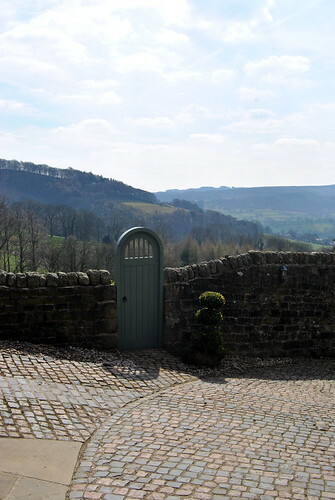 We walked through the grounds and were once again blown away by the beauty of the Peak District. 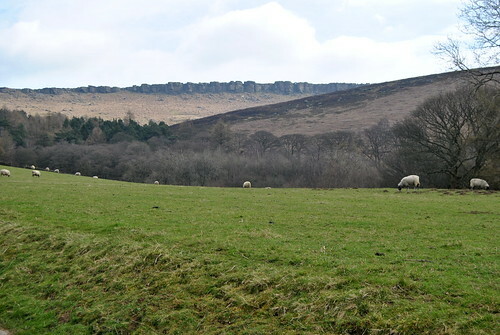 View of the Peak from Moorseats House. 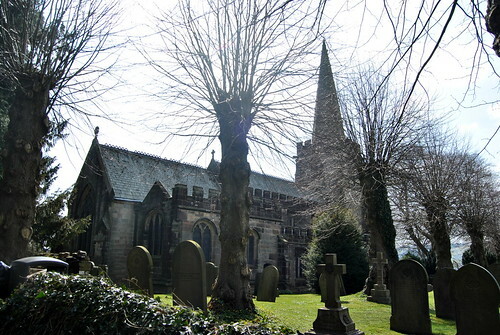 We continued along the path towards the church of Hathersage, where we began our walk a couple of hours earlier. 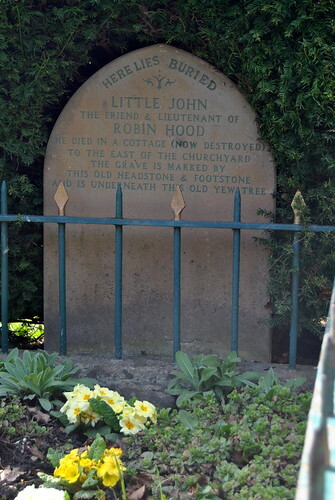 We visited the churchyard because we wanted to see the grave of Little John, Robine Hood’s giant righthand man. 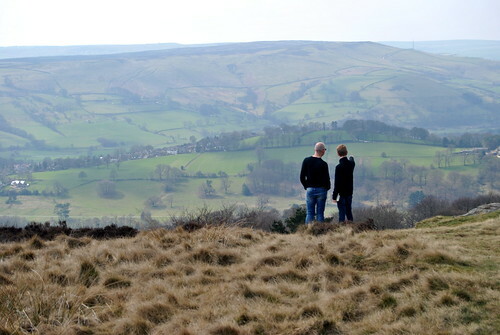 We had done three walks in the Peak District. 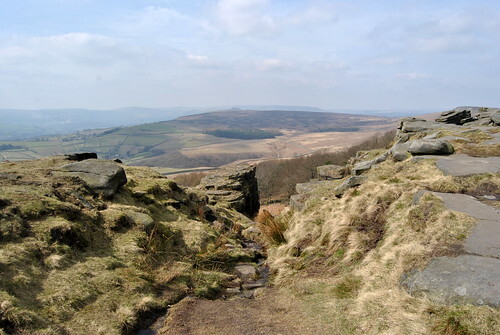 All three so different but I think that this one was my favourite because we saw so many different things, so many different landscapes… pastures, the rugged stones, moorland,… Which of the three walks would you want to do? PS: below you can admire the rest of my pictures… enjoy! 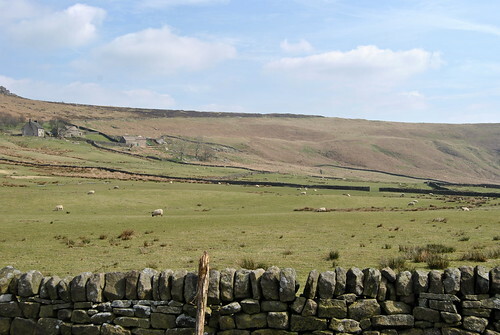 In the distance you can see North Lees Hall. 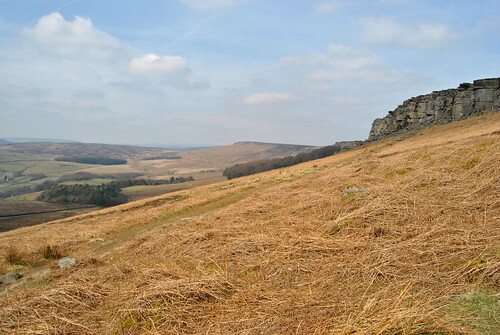 In the distance you can see the rugged line of Stanage Edge. 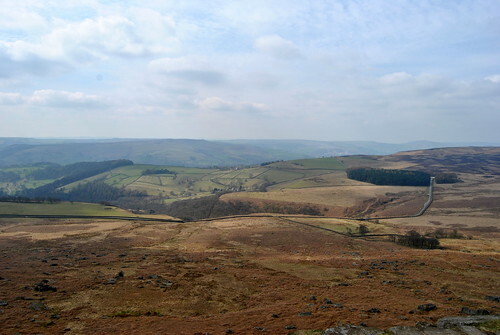 Views from halfway up Stanage Edge. Feeling on top of the world!! 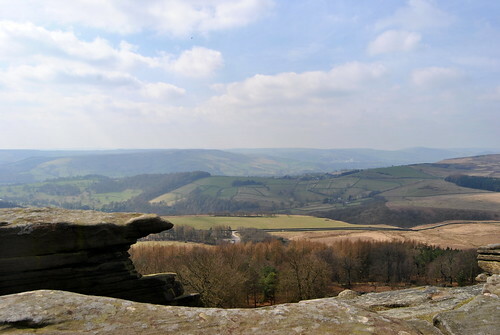 This entry was posted in England, Travel and tagged england, hiking, peak district, tips 'n trips, Travel, travelpost, trips, walking.